Publications | Meg Davis, Ph.D. The Uncounted: Politics of Data and Visibility in Global Health. International Journal of Human Rights 21/8:1144-1163, August 2017. Winner of the International Geneva Award 2017.
with William C. Goedel, John Emerson, and Brooke S. Guven, Punitive Laws, Key Population Size Estimates, and Global AIDS Response Progress Reports: An Ecological Study of 154 Countries. Journal of the International AIDS Society 20:21386, March 2017. Measuring the Impact of Human Rights on Health in Global Health Financing. Health and Human Rights 17/2, December 2015. Human Rights and the Global Fund to Fight AIDS, Tuberculosis and Malaria. Health and Human Rights 1/16, January 2014.
with Agus Triwahyuono and Risa Alexander, Survey of Abuses Against Injecting Drug Users in Indonesia — from Harm Reduction Journal, 6/28, Oct 2009. African Key Populations’ Engagement with Global Health Financing Institutions. African Men for Sexual Health and Rights (AMSHeR). Governments fund communities: Six country experiences of financing community responses through governmental mechanisms. UNAIDS. Invest in advocacy: Community participation in accountability is key to ending the AIDS epidemic. UNAIDS. Perfect Storm: Closing space for LGBT civil society in Kyrgyzstan, Indonesia, Kenya and Hungary. Global Philanthropy Project. 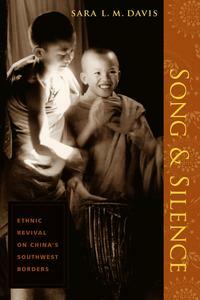 Song and Silence: Ethnic Revival on China’s Southwest Borders. Columbia University Press, 2005. Know It, Prove It, Change It: A Rights Curriculum for Grassroots Groups. Manuals and trainers supplements in English, Chinese and Thai. Asia Catalyst. Monkey on a Mission: An Adventure Tale. A serial book for kids ages 7-11 based on a classic Chinese tale, available free online.